Thursday – Sunday: 8 a.m. – 6 p.m. The Rose City Classic (RCC) is one of the most popular dog events in the US, and the biggest dog show series in the West. 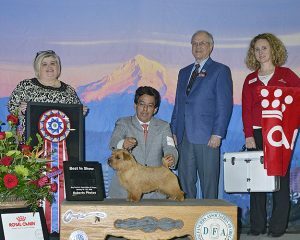 Every January thousands of the best dogs in the country and their owners descend on Portland to compete at the RCC. The Rose City Classic attracts the top vendors of specialty dog products in the United States. They offer every kind of product a dog lover could want from dog beds to fine art and jewelry! This is the big one… don’t miss it! Why isnt this on akc.tv live? Why do they only have the 1 day tickets on line. You can’t purchase a 2 day ticket.